In 1856 the machine builder A.Dresel hat founded a workshop for the construction of special machines in Berlin. In 1887 this company was overtaken by the engineer Friedrich Schwabenthan. During the following decades, the company has developed into one of Europe’s leading company for rubber-machinery. His son Franz Schwabenthan overtook the company in 1908 and moved to different places inside Berlin. After World War II, his daughter Ruth Schwabenthan started a new beginning in the old headquarter. Because of little space and other restrictions she did not started the business with production equipment but with laboratory equipment for testing purposes. The boom in the plastic development in the 50s and 60s was a permanent new challenge to the company. This leads with great success to a reputable company and Schwabenthan had a significant influence on the development of plastics in Europe. 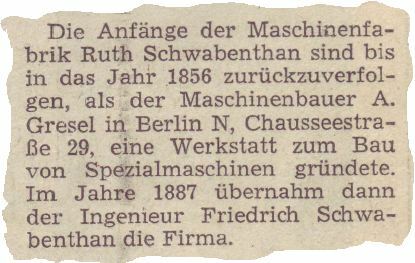 Ruth Schwabenthan had no descendants and sold her company in 1971 to the engineer Ernst Kerth. Mr. Kerth revised and modernized within a short time the entire program. The roll mills Polymix, the presses Polystat and the extruder Polytest were born and he presented his machine in new colour on the K-Show 1973 in Düsseldorf. Active agents have sold the machines on all continents. Schwabenthan moved to another place in Berlin and established its own building in Gradestrasse in Berlin-Neukölln and finally in Berlin-Wedding. Schwabenthan was closed in 1995. In 1993 Servitec was founded by Mr. Axel Kerth and Mr. Rüdiger Spangenberg in Berlin. 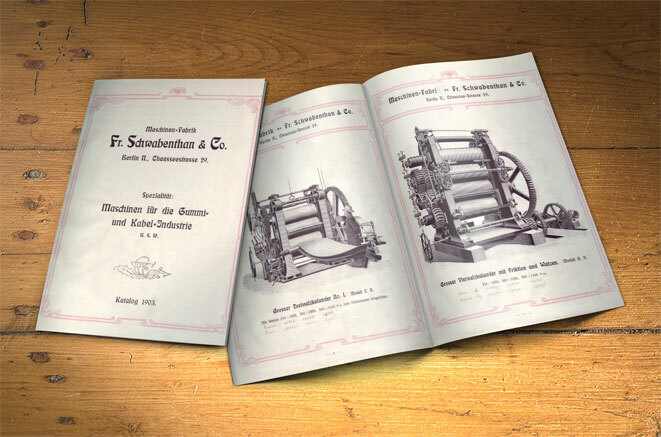 Servitec had the sole rights for the entire after-sale-services of all Schwabenthan machines. After Schwabenthan was closed Servitec has continued the machine program. During the following years Servitec has revised the machines from Schwabenthan completely. During the last years the machines were continuously developed according the current technology and safety. Since 1995 Servitec produces roll mills and presses in Wustermark near Berlin. During our history within the last 150 years, everything has changed, but the brands polystat + polymix and the quality “Made in Germany” remain.